USB 1.0, 1.1 and 2.0 compatible. Cable Length: 3ft. Connecter Size: Mini B 8 pin As the pictures shown. The product details (appearance, label, Plug) may vary due to the different production batches. 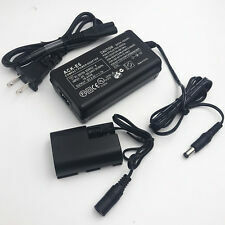 Simply connect the USB cable to the USB port on a laptop or desktop computer or USB adapter and let the power flow! 1x USB Charging/Data Sync Cable. Foil and Braid Shielding to reduce EMI/RFI Interference. 1 x USB Cable. USB 1.0, 1.1 & 2.0 compatible. Cable length:1M. Twisted-Pair construction to ensure high-speed, error-free data transfer. The images are for reference only. Model: PVC Type-C 3.3ft. Color: Black. Condition: New. Canon DC series. DC210 DVD Refurbished Camcorder. DC220 DVD Refurbished Camcorder. DC310 DVD Camcorder. DC320 DVD Camcorder. DC330 DVD Camcorder. Canon DM-FV series. Canon DM-FVM series. 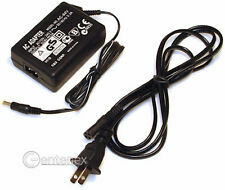 Selling a brand new Canon OEM interface cable (IFC-130U) for many types of EOS Rebel cameras. Please double check to make sure this will work with your camera. Product have been stored at room temperature. 100% Genuine Canon Product Upgraded shipping available, I don't make a profit on faster service just covers the cost. Check out my other listings for combo deals and other Canon T3 camera parts Orders received on Friday by 11:59 PM will be sent to post office on Saturday for transit movement. I am just like you when I order something I want it ASAP and by doing this gets it there a day earlier. :) Buy with Confidence, check out my feedback! USA Seller! Will ship within 1 business day of receiving payment. 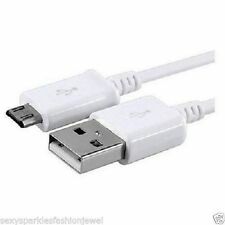 High Speed USB 2.0 Certified Cable. All orders are typically processed within 24 hours. Length: 6ft. Model: PVC Type-C 3.3ft. Color: Black. 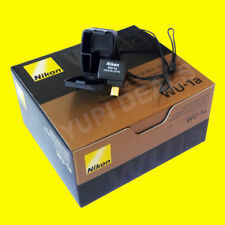 For Nikon DSLR D3200 D5000 D5100. Foil and Braid Shielding to reduce EMI/RFI Interference. 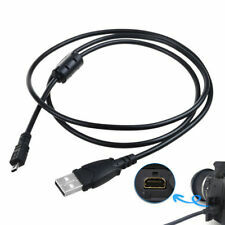 1 x Ablegrid USB Data Cable. USB 1.0, 1.1 and 2.0 compatible. Twisted-Pair construction to ensure high-speed, error-free data transfer. USB 1.0, 1.1 and 2.0 compatible. Cable Length : 102cm. We stand behind our quality products. Nikon DSLR D3200 D5000 D5100. Cable Length: 3ft. USB 1.0, 1.1 and 2.0 compatible. Connecter Size: Mini B 8 pin As the pictures shown. The product details (appearance, label, Plug) may vary due to the different production batches. Foil and Braid Shielding to reduce EMI/RFI Interference. USB 1.0, 1.1 and 2.0 compatible. Cable Length : 102cm. Twisted-Pair construction to ensure high-speed, error-free data transfer. The manufacturer does not necessarily endorse use of these products. 1 x USB Cable. 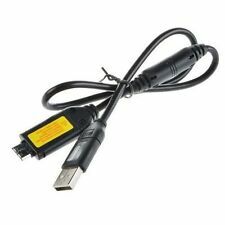 USB 1.0, 1.1 & 2.0 compatible. Twisted-Pair construction to ensure high-speed, error-free data transfer. Cable length:1M. The images are for reference only. USB 1.0, 1.1 and 2.0 compatible. Twisted-Pair construction to ensure high-speed, error-free data transfer. Cable Length: 3ft. Connecter Size: Mini B 8 pin As the pictures shown. Light and easy to carry around: 1.02m long. One (1) Genuine Nikon UC-E6 Cable. Nikon Coolpix S2600 S2500 S3000 S3200 S4300 S6100. Cable Length: 3ft. Foil and Braid Shielding to reduce EMI/RFI Interference. USB 1.0, 1.1 and 2.0 compatible. Connecter Size: Mini B 8 pin As the pictures shown. Canon PowerShot A Series: A5, A10, A20, A30, A40, A60, A75, A80, A85, A95, A100, A200, A300, A310, A400, A410, A420, A430, A450, A460, A470, A480, A500, A510, A520, A530, A540, A550, A560, A570 IS, A580, A590 IS, A610, A620, A630, A640, A650 IS, A700 IS, A710 IS, A720 IS, A1000 IS, A1100 IS, A2000 IS, A2100 IS. Foil and Braid Shielding to reduce EMI/RFI Interference. 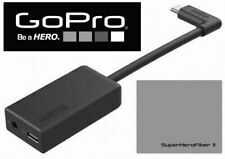 USB 1.0, 1.1 & 2.0 compatible. High quality cable Twisted-Pair construction to ensure high-speed, error-free data transfer. Length & weight: 3 feet, light and easy to carry. As described. 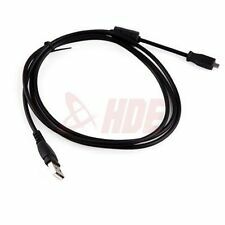 USB Data Interface Cable cord for Canon IFC-400PCU PowerShot A2500 m e ( 639. for USB Data Cable for Canon EOS. A great substitution for Canon EOS. USB Data Cable. Precise connectors ensure a high data transmission rate. ). System Requirements: Pentium 4 1.7 GHz CPU or above 512MB RAM or above 1GB free HDD space VGA card with 32MB memory One available USB 2.0 port CD-ROM for installation Microsoft Windows 2000/ XP/ Vista/ Win 7/win 8 and Mac under Version 10.5(Not compatible Mac 10.5 or higher) Specifications: Type: USB Cassette Converter Interface: USB 2.0 Standard Recording Format: Wave, MP3 Input: USB Cable Power Supply: 2 x AA Battery or USB-powered operation Consumed Power:≤ 400mW Dimension / Weight: 112 (L)×80(W)×31(H)mm / 148g Package included： 1 x USB Cassette Capture 1 x USB Cable 1 x Headphones 1 x Software CD (Includes capture and edit software and user guide) 1 x User Guide Fit Laptop Models. This system is compatible with standard sync cords, A/C adapter cords and USB, HDMI or FireWire cables. Flash & Lighting. Tethering Tools. Gear Protection. Photo Accessories. iPhone & iPad Photo Gear. Canon DC series. Canon DM-FV series. Canon iVIS HR series. Canon VIXIA HR series. Canon DM-FVM series. CANON FS series. Canon LEGRIA HV series. Canon XA10. Canon EOS Rebel T2i T3i T4i DSLR. The product details (appearance, label, Plug) may vary due to the different production batches. 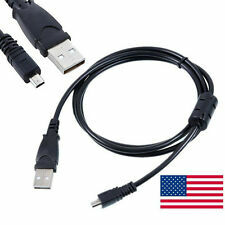 1 x Free Cord(fit your country). 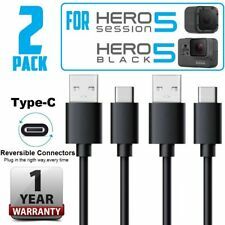 Fit to Gopro Hero 6. 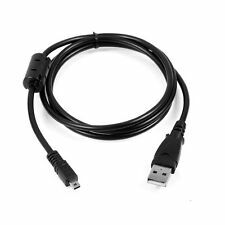 1 x Genuine USB Cable. One (1) Genuine Canon AVC-DC400ST Stereo AV Cable Part# 4076B001. 5D Mark III. 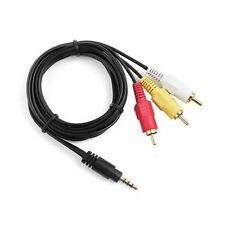 AV VMC-15FS Cable/Cord For Sony Handycam Camcorder DCR -DVD101E SR200E. 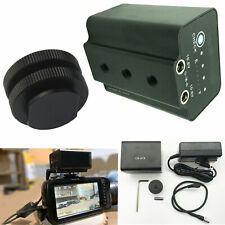 Connects your digital camcorder to TV, HDTV receiver, projector or VCR for audio and video playback. 1 X cable. Output Type: One S-Video, One RCA Video and Two RCA Stereo. Foil and Braid Shielding to reduce EMI/RFI Interference. USB 1.0, 1.1 and 2.0 compatible. Cable Length : 1.5 M/5ft. Twisted-Pair construction to ensure high-speed, error-free data transfer.